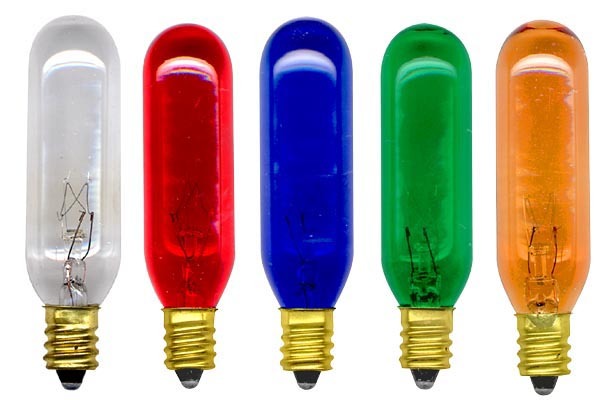 Tubular Light Bulbs Provide Illumination Over a Wider Area, such as Lighting Framed Art, and in Tighter Areas where you need Space Conserved, such as is Ceramic or Wood Light Houses, Ceramic Christmas Trees, Wreaths and more. E) 25 Watt Clear only. NOTE: Does NOT Fit These Candelabra Base Sockets: 140-709-08, 140-716-09, 140-714-01 & 140-839-01 - But WILL FIT All Of Our Other Candelabra Sockets. 1 5 10 25 100 Qty. TUBULAR Light Bulb with Candelabra Base. 15 Watt Clear Steady burning. 2-1/4"H x 3/4" diameter - not including base. Individually boxed and Cartons of 25. TUBULAR Light Bulb with Candelabra Base. 25 Watt Clear. Steady Burning Incandescent. 2-1/4"H x 3/4" diameter - not including base. Individually boxed and Cartons of 25. 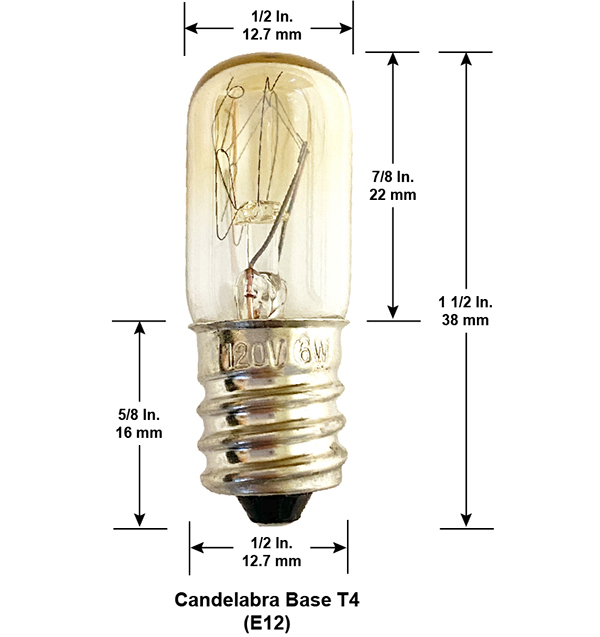 TUBULAR Light Bulb with Candelabra Base. 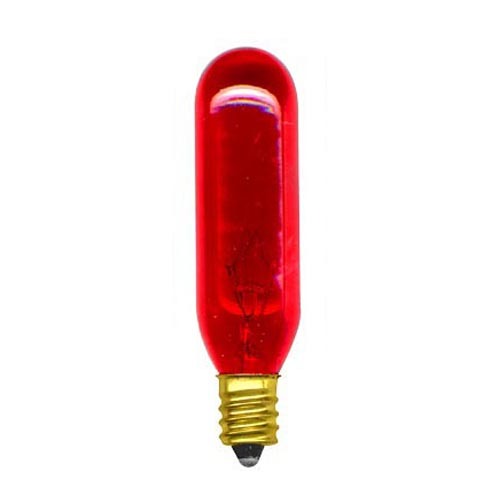 15 Watt Transparent RED. Steady Burning Incandescent. 2-1/4"H x 3/4" diameter - not including base. Individually boxed and Cartons of 25. 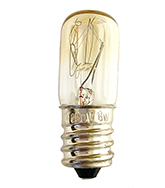 TUBULAR Light Bulb with Candelabra Base. 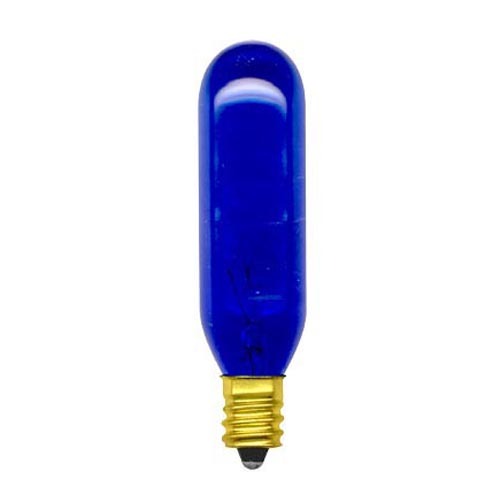 15 Watt Transparent BLUE. Steady Burning Incandescent. 2-1/4"H x 3/4" diameter - not including base. Individually boxed and Cartons of 25. TUBULAR Light Bulb with Candelabra Base. 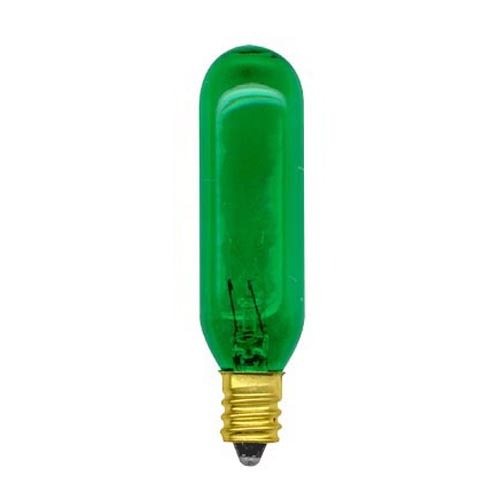 15 Watt Transparent GREEN. Steady Burning Incandescent. 2-1/4"H x 3/4" diameter - not including base. Individually boxed and Cartons of 25. 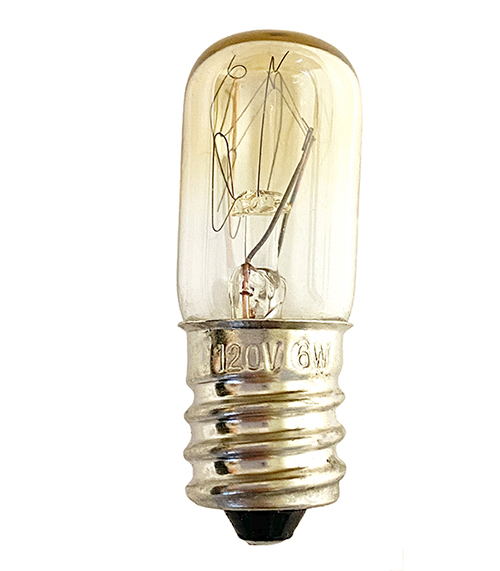 TUBULAR Light Bulb with Candelabra Base. 15 Watt Transparent AMBER. Steady Burning Incandescent. 2-1/4"H x 3/4" diameter - not including base. Individually boxed and Cartons of 25. 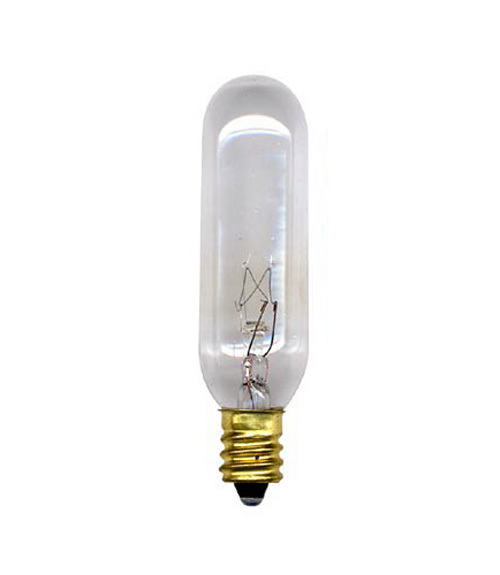 To see larger Tubular Bulbs with Candelabra Base click below. Lamp Cords and Candelabra Style Lamp Sockets are also available. Click on selections to view.. Note: To determine length of glass portion of bulbs deduct 5/8" from overall lengths listed below. Please Note: These are electrical products, not toys. To avoid risk of fire, burns, electrical shock or other injury, install correctly, do not exceed ratings and do not place where small children can reach them.